According to Connor Hayes, the director of product management at Facebook, the three main features that will be added to Facebook stories in India are the ability to save photographs taken on the Facebook camera without saving it on your device, voice recording for stories, and creating a story archive. Facebook on Wednesday announced several new updates for its Indian consumer, following which the updates will be part of Facebook's global platform, it was announced. These photos and videos will not take up any additional space on the users' smartphones and they will be visible when users log into their Facebook accounts. At this time, the feature will only be available for Facebook Lite users, however, Android users will see this in the coming months. Facebook will also allow voice posts, letting people "share in the moment" without having to share a photo or video. "We noticed that a number of users were using WhatsApp to record messages when they didn't feel like typing". They won't even require written proficiency from users in a language that they can easily speak. 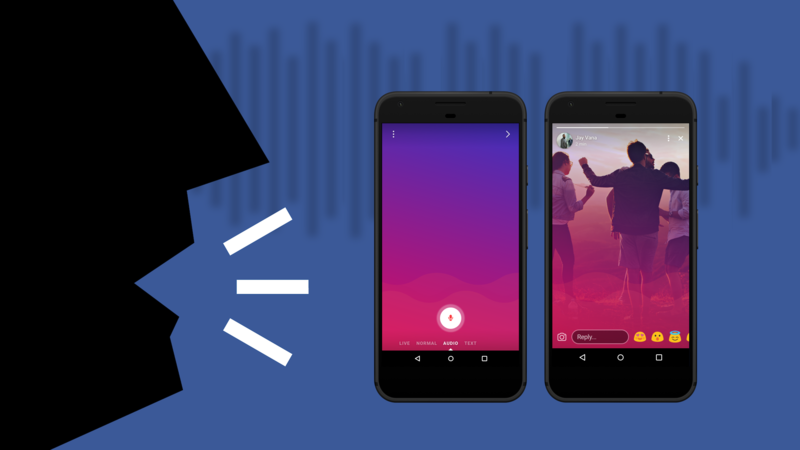 While users will be able to share 20 seconds long voice posts in Facebook Stories, no such limit has been set on voice posts shared in the News Feed. "Another really important thing that we've learnt from WhatsApp is that voice messaging is an increasingly popular way for people to communicate when they don't want to type out messages", said Hayes. While announcing the new features Hayes stressed that how Facebook has been taking feedback from the community and especially users in India for the new tools for Stories. There is now no limit for a voice post that is shared to News Feed, but the recording time is restricted by the local storage on the user's device. "After a photo disappears from a story, you can still re-view it, re-live it and re-share it", Hayes said. Note that only you can see your archived Stories unless you choose to share them to your Stories again or post them on your News Feed.